History: Built of single-skin kauri in Whangarei in 1909, Scout was the first and is now the only surviving 6m built in New Zealand. 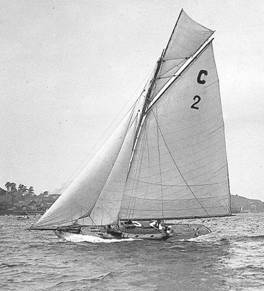 She raced her only race against another 6m in the Auckland Anniversary Regatta of 1923. The class did not take off in New Zealand and her 100 year racing career has been with fleets of many designs and vintages, demonstrating the durability and competitiveness of the original 6m design.